Dead Space fans are in a bit of a fix these days. Dead Space 3's lackluster sales and lukewarm reception blockaded the franchise's forward momentum, and development studio Visceral Games has been put to work on far more lucrative franchises like Battlefield and Star Wars. Does this turn of events leave space for a new Dead Space in the future? "Absolutely," says EA Studios Executive Vice President Patrick Soderlund in an interview published by Polygon. "To the largest extent we can, we want to get the game teams to work on the things they want to work on themselves. There's an incredible amount of enthusiasm over Hardline and the Star Wars game at Visceral. 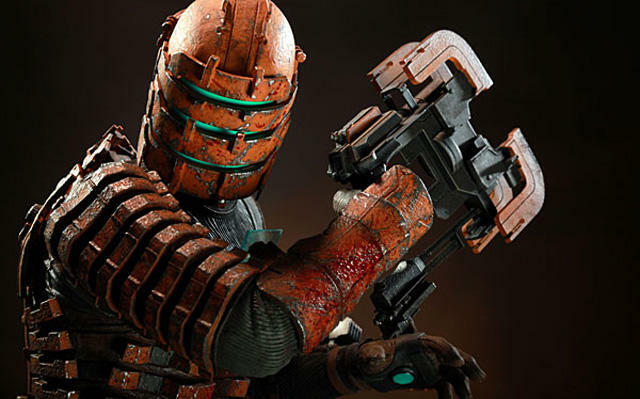 So yeah, from the way he spins it, Visceral doesn't even want to make a new Dead Space game. Star Wars and Battlefield: Hardline are just too exciting to focus on. "Do I think that we will create a Dead Space game again? Yes, I think so. But when we do so, we have to think about what made the previous ones successful and how we go about envisioning Dead Space for a new generation. Now, I'm not announcing a Dead Space game. We're not building one just to be very clear, but I'm saying is there an opportunity or possibility to do one in the future? Absolutely." If you want to take a look at what made the first ones so great, the first step of that process is to totally scrap any original idea put into Dead Space 3 and go from there. For what it's worth, though, I'm not to interested in another Dead Space game. Along with Mirror's Edge, the franchise was the result of EA trying something new to appease to gamers who felt left out of EA's annual shooting and sports franchises. New IPs and new ideas nobody else was working on. Against all odds, the lightning in a bottle was enough, and Dead Space miraculously nailed the balance needed to become a corporate hit as well as a fan-favorite. In the process, it became EA's surprising best new franchise of the generation. Dead Space was an attempt to add some life into its quickly stagnating library, and EA would have to flatline again to get that creative spark up and running. Its horrendous E3 presentation certainly points to that happening now, but it will need new franchises and ideas that will reinvigorate interest, not the old ones. Dead Space was a product of its time, not a timeless franchise that can see a double digit number of entries. I don't see much reason to backtrack to it. Put Visceral on something new once it gets Battlefield and Star Wars out of its system.